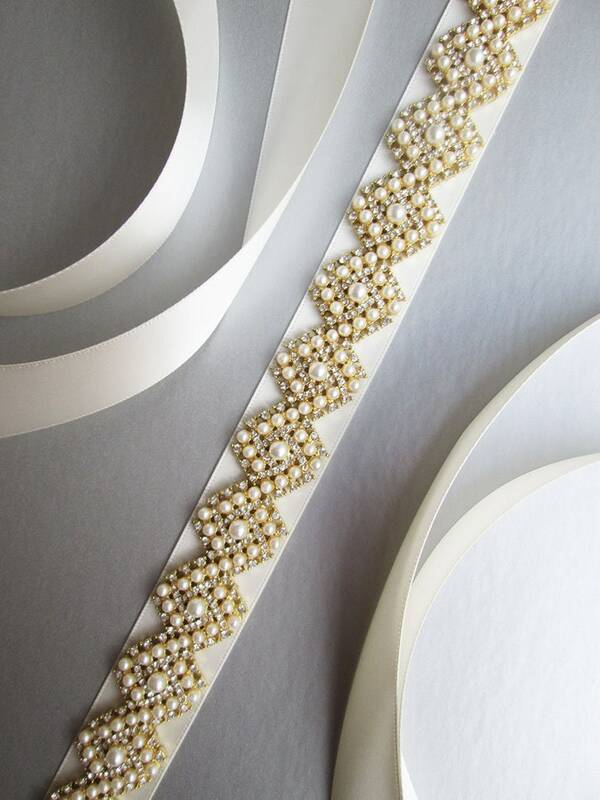 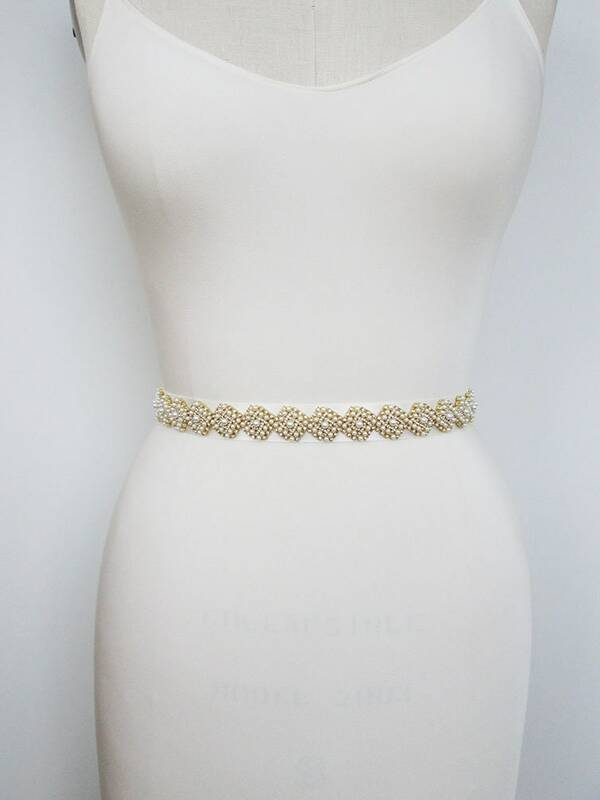 This elegant bridal belt features beautiful criss-cross pearl and crystal design. 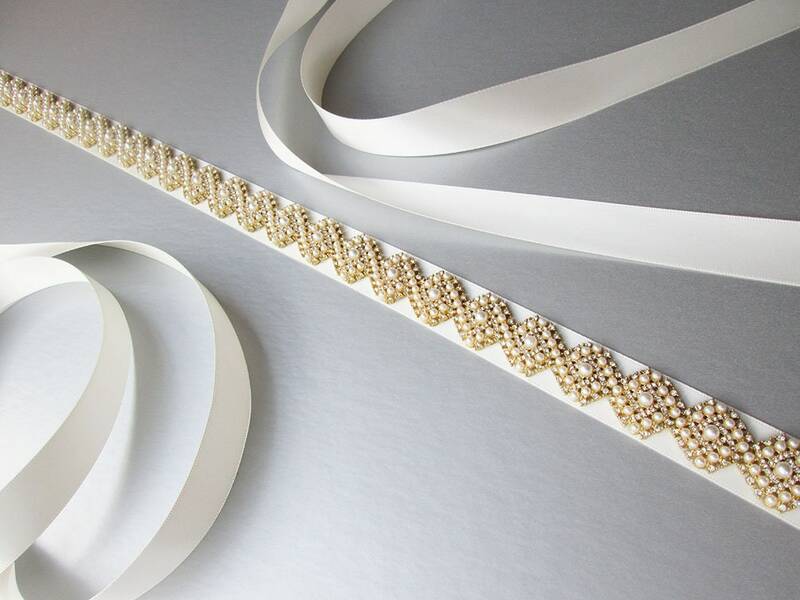 The crystal beading measures 7/8" wide and 27" long. 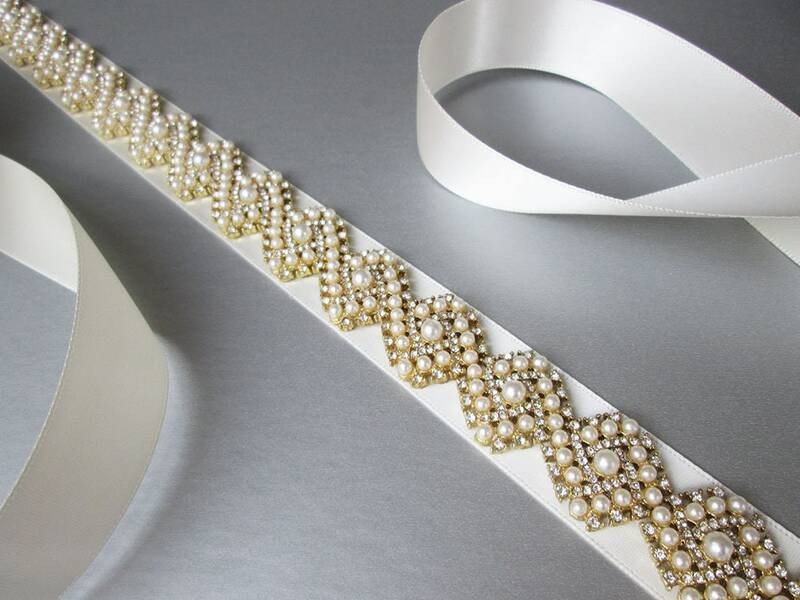 The entire sash measures 150". 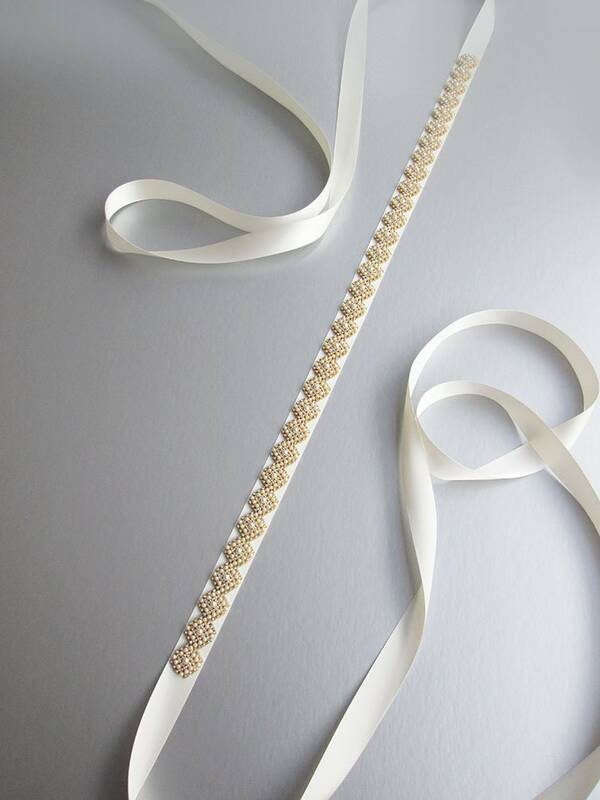 Available in gold, silver or rose gold finish and with satin or organza ribbon. 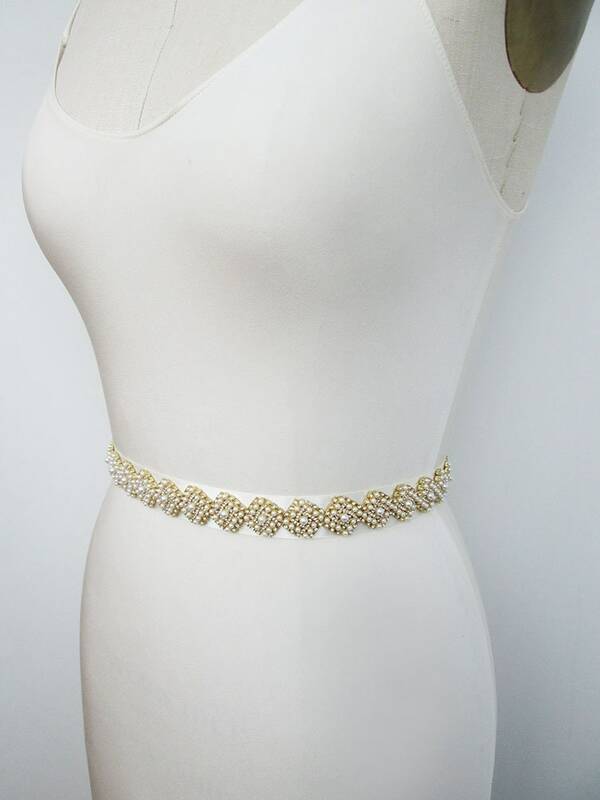 Shown in the photos in gold finish with antique white satin ribbon.